Dr. Goldie has been in active full time practice since graduation in 2000. She has over 15 years of experience as a licensed Chiropractor and uses a number of highly-effective adjusting approaches to help improve spinal biomechanics and reduce nervous system interference. 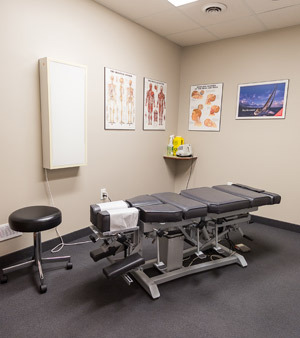 She is certified in Thompson Terminal Point Technique which allows her to manage patients of all ages and spinal conditions ranging from infants and children, to athletes and seniors. The approach used is based on her clinical judgment and years of experience. Assist patients with whole life recommendations on how to eat, move and think in combination with their chiropractic care in order to achieve optimal health. We want you to relax, enjoy and fully benefit from your chiropractic care. Contact us today for your appointment.